Best time to visit:October to April. Wayanad Wildlife Sanctuary was established in 1973. It is an important part of Nilgiri Biosphere Reserve. Wayanad is a green haven located in the Western Ghats. The area of Wayanad is full of culture and history and is a pristine, clean, hypnotizing and enchanting place. Wayanad has green forests, plantations and rich wildlife. The hills of Wayanad are adjacent to Mudumalai Wildlife Sanctuary of Tamilnadu and Bandipur National Park of Karnataka, therefore making a huge land collection for the wildlife to go in their mainly natural house. Wayanad have the benefit of a decent climate year round. Wayanad has very rich flora and fauna. 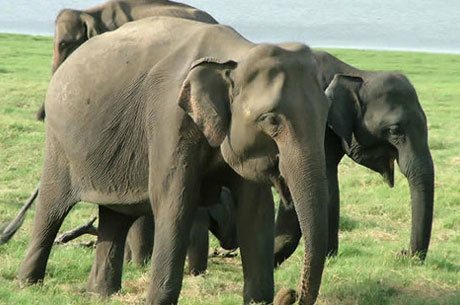 Wayanad Wildlife Sanctuary is 16 KMS away from Sultan’s Battery and also called as Muthanga Wildlife Sanctuary. Southwest monsoon arrive in this area starting from June month to September end. The months of March to May are quite warm months. The best time to travel to Wayanad Wildlife Sanctuary is from first week of June till October. Kalpetta – the district headquarters is the area of Wayanad and known for the Jain temples. Chembra Peak is located 14 KMS from Kalpetta and a good place for trekking. Edakkal Caves are 12 KMS away from Sultan Battery. The Glass Temple at Kottamunda is 22 KMS from Kalpetta. The flora in Wayanad is feature of the Western Ghats and the agricultural estate harvest grown-up in the fresh climate. A main part of the district is enclosed by the coffee. The trees of the region are rose-wood, mullumurikku (Erthrina), anjili (Artocarpus), few species of caussia and various non-descrip types are still conserved out here to offer the shade to the plants of coffee. The major animals of Wayanad are bonnet monkeys, mongooses, Loris, jungle cats, jackals, squirrels and hares etc. The Elephant along with bear, panther, wild dog, bison and even tiger are seen here. This sanctuary is a home of various birds as peacock, bablers, owl, cuckoos, wood pecker and jungle fowl. The best time to visit Silent Valley is from October to April. Air: Calicut airport is located 25 KMS from the wildlife sanctuary. Train: The whole district is connected with trains.